Even the world's most famous investor, also known as the Oracle of Omaha, has regrets. Warren Buffett admits he missed the boat on investing in two of today's most successful tech companies: Google (GOOG) and Amazon (AMZN). Both are among the largest companies in the world today. Buffett said he should have known early on that Google was going places. He remembered that Berkshire subsidiary Geico was paying $10 or $11 to Google every time someone clicked on an ad. He admitted to being amazed that the business was able to make additional money with no incremental cost. But he still didn't buy the stock. 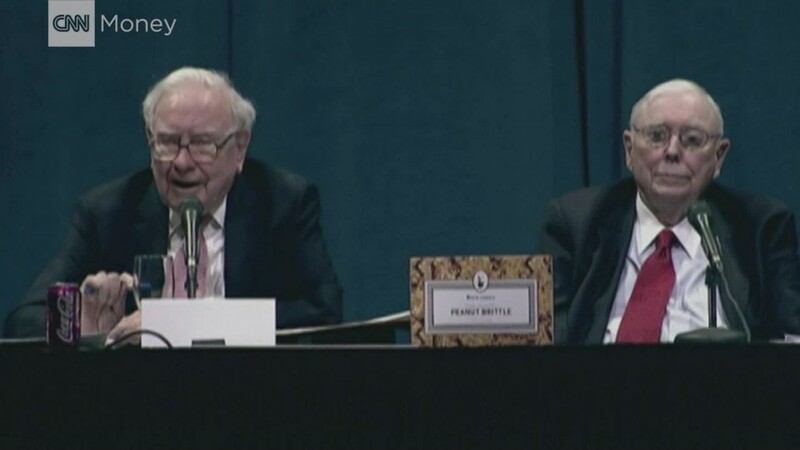 "I blew it," he lamented, while speaking to tens of thousands of shareholders who had congregated in Omaha for Berkshire Hathaway (BRKA)'s annual shareholder on Saturday. Buffett admitted he had the intel to understand Google's potential for growth early on. Along with Berkshire vice chairman Charlie Munger, Buffett roundly praised Amazon CEO Jeff Bezos and bemoaned never owning a share of his company. Munger called Bezos "a different species." "I was too dumb to realize what was going to happen," Buffett said. "I've admired Jeff, and I've admired him for a long, long time. But I did not think he was going to succeed on the scale that he has." Berkshire's two major tech holdings are Apple (AAPL) and IBM (IBM). Earlier this week, Buffett announced that Berkshire Hathaway had dumped about a third of its IBM (IBM) stock. It's the company's largest shareholder. "I thought it would do much better," Buffett admitted on Saturday. But he held that Apple and IBM are two very different companies, with Apple maintaining a focus on consumer products. Apple, which Buffett bought a stake in last year, accounts for about 5.5% of Berkshire's portfolio. -- CNN's Poppy Harlow contributed reporting.